We understand and respect the importance of protecting your privacy and your personal information. 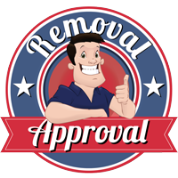 Move It Removals are committed to processing personal information in ways that comply with our legal and regulatory obligations. Being transparent about what we do with personal information is an important element in trusting us with your personal information. Only pass your personal information to trusted partners if we have your consent. Data protection law says that we are allowed to use your personal information only if we have a proper reason to do so. This includes sharing personal information with third parties. When you have given your consent. A legitimate interest is when we have a business or commercial reason to use your personal information. However, we must not use your personal information unfairly. When products or services are provided in association with a business partner and your personal information is collected by them, with your consent, and you have consented to us contacting you. Information on any inventory, job sheet, collection/delivery documentation, shipping manifest, customs documentation or similar documents used for the export or importation of your goods. Trusted third parties who offer a product or service which is of interest to you. We may disclose personal information to any member of our group for business purposes, which includes but is not limited to subsidiaries, our ultimate holding company and its subsidiaries as defined in section 1159 of the Companies Act 2006 and to any relevant third parties for the purpose of providing services. Some third parties who we pass personal information to, maybe based outside the European Economic Area (EEA). Organisations that are based outside the EEA may be subject to local or national data protection regimes which may not have the same level of controls in regard to data protection as currently exist with the United Kingdom or the EEA. Work with our agents and third parties who provide business and administrative support functions and assist in carrying out our services. From time to time we may be required to disclose certain personal information to local or national government bodies or authorities responsible for crime prevention, immigration, customs, border control, security and anti-terrorism. Although it may not be mandatory to provide such information to these authorities, we may do so in circumstances where we consider it appropriate to comply with their request. We will ensure that personal information is kept accurate and up to date as far as reasonably possible. However, we rely on you to ensure that your personal information is accurate and up-to date. It is your responsibility to inform us of any changes to your personal information. This can be done by writing or e-mailing us and requesting changes to be made. We are unable to accept any instructions from anyone other than you, the person named on the contract documentation. If you wish a third party to act on your behalf, we will require evidence that they have your express authority to do so. Such evidence could be in the form of a power of attorney or other written form of authority or in some circumstances we may be prepared to accept your verbal instructions. We will retain your personal information for no longer that is necessary for the maintenance of your account and while we are providing on going services to you. We will also retain your personal information to meet legal or regulatory requirements. We will not retain your personal information for longer than seven years (the Retention Period) from the date when you cease to be a customer of ours. We may keep your personal information longer than seven years if we cannot delete it for legal regulatory or technical reasons. Where we are required to do under a contract. In order to detect fraud, we or insurers may at any time share information about you with law enforcement bodies including but not limited to the police. They in turn may access and use the information we have passed to them. Cookies are small data files which are saved to your website browser to collect certain information about your use of the Move It Removals website. They distinguish you from other users. Some of these cookies are essential so as to make the web site work properly and to enhance your experience. There are two types of cookie, session cookies which exist during the visits to the website and are erased when you close your web browser, and persistent cookies which are stored until they expire, which can be within hours or years later. You have the option to change your browser settings to accept or reject cookies. If cookies are already on your computer, you can delete them. Our website may provide hyperlinks to other locations or websites on the Internet. The hyperlinks lead to websites operated by third parties and are subject to their own privacy policies. We endeavour to select reputable websites and sources of information for your convenience. We may also send you information about services and products provided by third parties who are our trusted partners which may be of interest to you. If you have opted to receive information but change your mind, e-mail us at info@moveit-essex.co.uk, quoting your client i.d. C/o A.R. Lee & Company, Clarence Street Chambers, 32 Clarence Street, Southend-on-Sea, Essex SS1 1BD, for the attention of the data protection officer. When writing to us, please provide; your full name and address in your correspondence. Although you have opted out of direct marketing, you will still receive service related communications from us if we are still providing you with services. Right to access to personal information. C/o A.R. Lee & Company, Clarence Street Chambers, 32 Clarence Street, Southend-on-Sea, Essex SS1 1BD or e-mail: info@moveit-essex.co.uk. If you request large amounts of information, we may ask you to specify in more detail the information you require. You have the right to request that we rectify personal information which is inaccurate or incomplete. In the first instance contact us in writing specifying the inaccurate or incomplete personal information. Provide us with the correct personal information and ask us to rectify it. We may refuse to comply with your request for erasure if we are required to comply with a legal or statutory obligation or if the personal information will be required for the purposes of resolving a claim, complaint or in the defence of a claim or complaint.